As a small girl, I had this craving to see the world. I wasn’t interested in the normal things children were; I could sit for hours and read the hundreds of National Geographic magazines my mother has stashed away in our downstairs closet. My favorite eccentric uncle worked for the United Nations in the 1970’s and I would hear about him living on a houseboat in India and I would dream of visiting him in Costa Rica where he retired on a coffee plantation. My first journey outside of the U.S. landed me in San Jose, Costa Rica alone and excited to explore “Pura Vida” while it was still mostly unknown to the horrors of tourism. My uncle was a writer for the Costa Rican newspaper, The Tico Times, for many years. Somehow he influenced me more than I could have ever imagined, and I have followed in his footsteps as a traveler and journalist. My gypsy soul has led me to explore this world as a traveler, not a tourist; a badge I take with pride. Now I am showing this amazing world to my son Cairo, who by the age of ten has seen many continents. I feel it is my duty in life for these eyes to see all that I can, but more importantly, to raise a worldly son who adores all the cultures of the world… because he has seen it first-hand. I crave the education that only travel can bring, and so I created my travel page appropriately called Nomadic Nirvana. 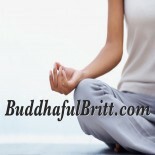 CLICK HERE to be directed away from Buddhaful Britt, and subscribe to my travel site. Our life has been pretty incredible, and it’s only just beginning for this little guy! Join us on our escapades around the world.